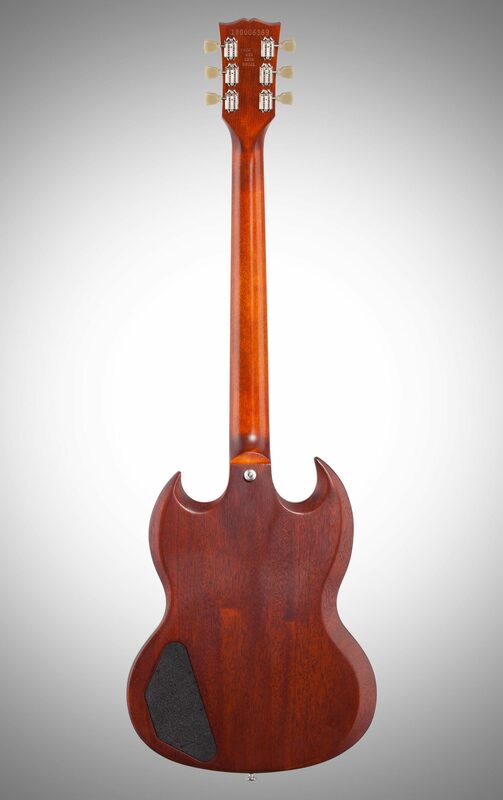 The Gibson SG Faded 2018 Electric Guitar brings legendary Gibson SG performance alive with a spirited, worn finish. 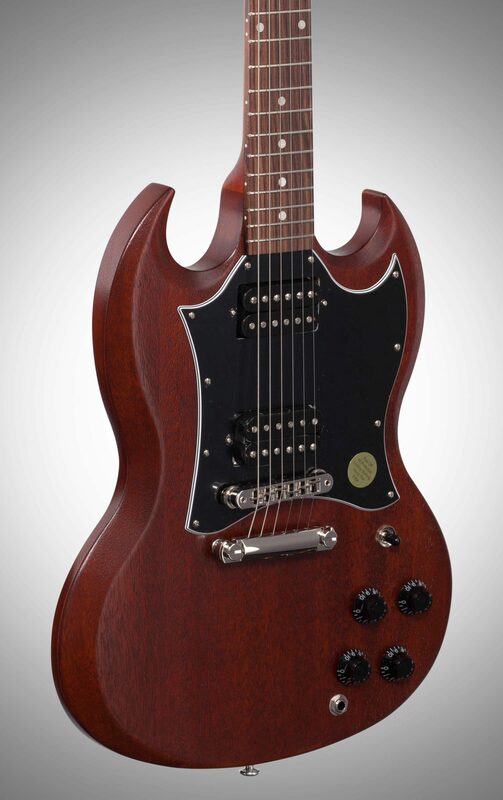 Simple style comes from the faded gloss-nitro finish and classic dot inlays. 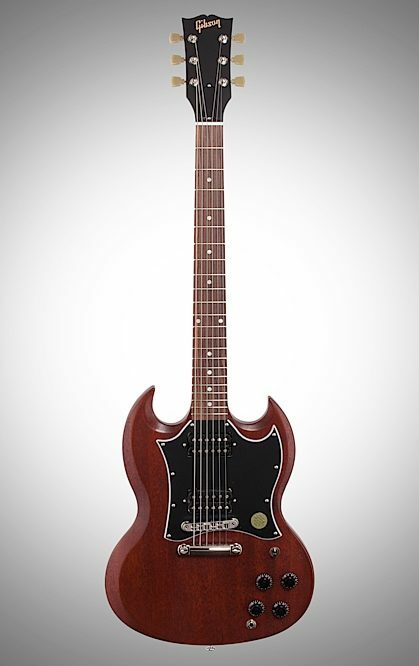 Slim Taper neck, mahogany body, solid rosewood fingerboard and classic PAF humbucking pickups deliver the signature sound and feel of the great SG of the past six decades. 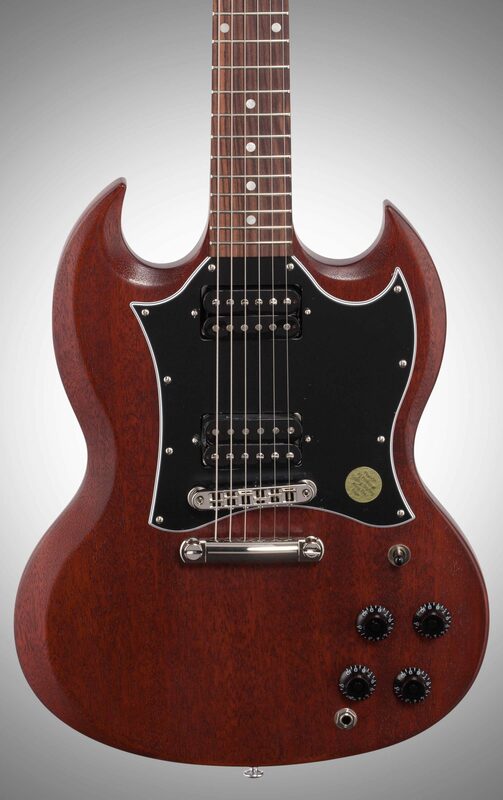 "Feels like my vintage SG"
Overall: I had a vintage SG when I was a teenager and when I opened up the amazingly high quality gig bag and pulled this out, I immediately felt at home on this guitar.I was a little hesitant about the maple neck and pickups. But the neck feels great. Resonance is amazing. 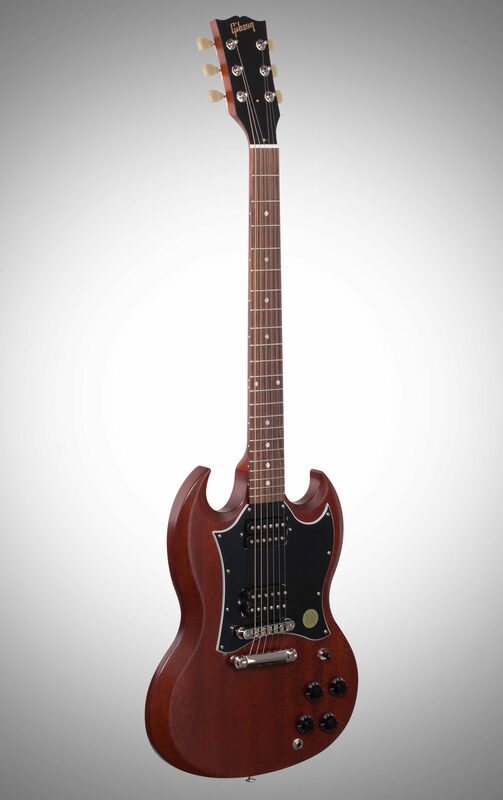 The pickups have that stinging, thick, Cream Era Clapton SG sound. The neck was a bit muddy, nothing a screwdriver couldn't fix!The finish is nice. Not perfect, but I can live with a rough patch here or there where sanding wasn't 100%.The guitar came perfectly set up and even in tune!The frets are perfect, no rough ends, no high/low frets. 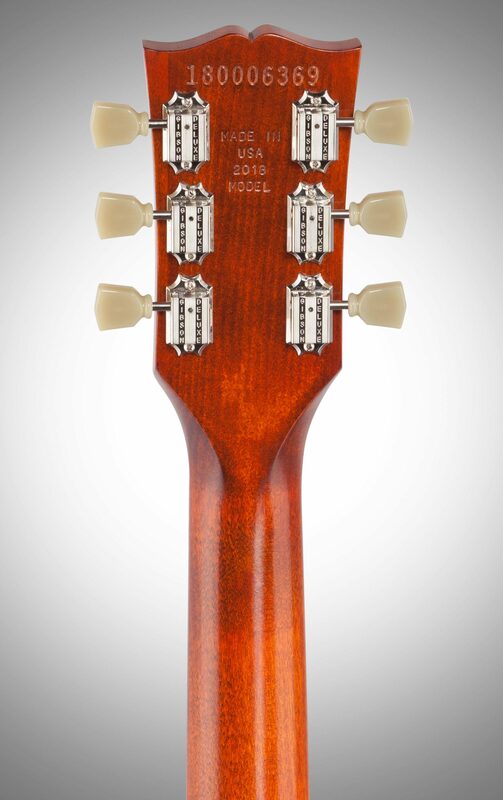 The nut is great and the tuners work well enough. Those are getting swapped out for locking tuners, however. 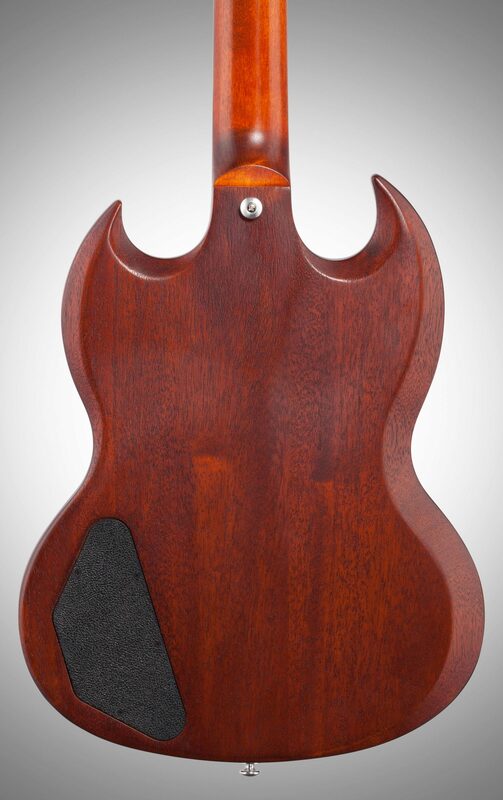 Note, you'll need adapter bushings if you're going to vintage sized tuners!This has a 3 piece body. 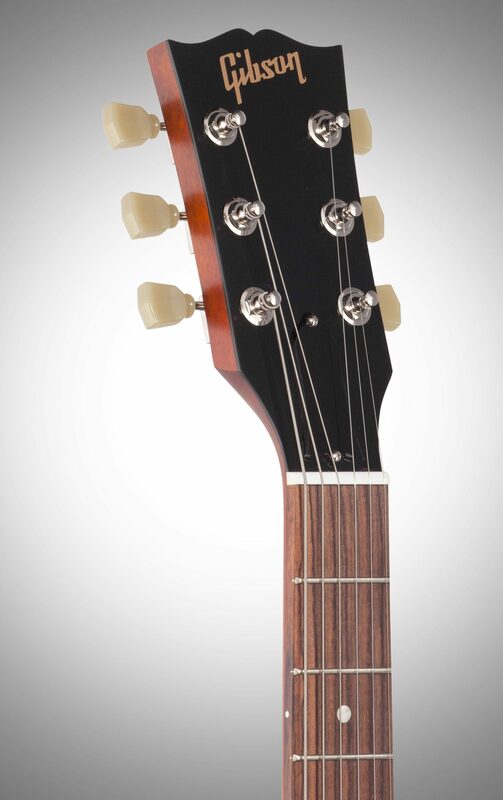 But it's light and as I mentioned above, very resonant.I can't put this guitar down!